Hey everyone! 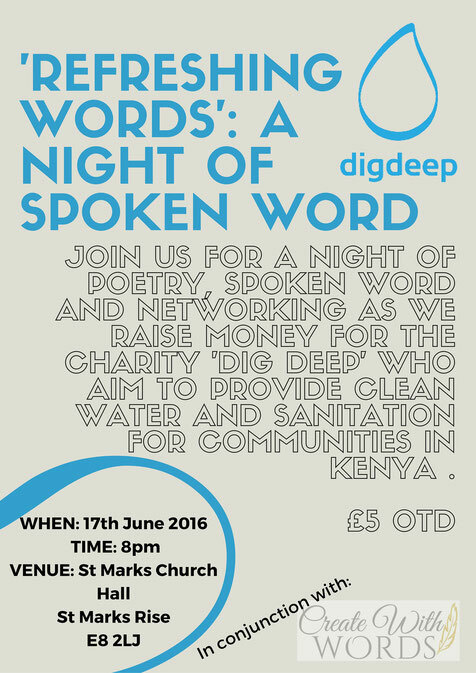 As many of you are aware I put on a charity spoken word event for the 18th of June. I’m happy to say that I raised over £200 for the charity ‘Dig Deep’ which is great news! I hope you’re good? I’m gonna do some ridiculously last minute promo on an event that I am running this Friday!